ALBANY – Marijuana advocates say negotiations at the state Capitol to legalize the drug for adult use have been halted as Gov. Andrew M. Cuomo and legislative leaders this week try to nail down the final pieces of a state budget agreement. Sources with knowledge of the matter said a number of rank-and-file legislators were told marijuana legalization talks were suspended on Monday. Word of trouble with a marijuana deal – and including it in the state budget due later this week – came on the same day a vote was postponed in New Jersey to legalize marijuana. Like New York, the governor and legislative leaders in New Jersey all supported efforts to legalize adult use of the drug. People close to the negotiations said New Jersey’s failure to advance a marijuana bill was closely watched in Albany. No state has gone through the legislative route to legalize the sale of marijuana; statewide referendum measures have been the most common route. A group of marijuana legalization proponents, including the Drug Policy Alliance, medical marijuana industry representatives, hemp farmers and others gathered outside Cuomo’s Capitol office to urge him to get the marijuana talks restarted. They vowed to be present at the Capitol, along with other supporters, all week. Kassandra Frederique, New York State director for the Drug Policy Alliance, a national group that has pushed for drug law changes, said her group was told talks over including marijuana legalization in the budget had stopped. “We call on NY leaders to pass marijuana legalization in the budget by April 1," she said Tuesday morning. She said 1977 marijuana decriminalization laws have not worked for decades; she said the upstate arrest record in 2017 rose to almost double the levels in 1990. Late Monday afternoon, sources said fiscal staffers in the Senate and Assembly had informed lawmakers that they were at an impasse on the legalization measure. Among the areas unresolved is how to spend what in the years ahead could be $300 million in annual tax revenues. Advocates such as Assembly Majority Leader Crystal Peoples-Stokes, a Buffalo Democrat and sponsor of the bill to make marijuana legal in New York, want a sizeable portion of tax revenues to be directed to neighborhoods, mostly low-income and with minority residents, that have seen disproportionate numbers of marijuana arrests over the years. They say those communities should be given an array of different services funded with pot revenues, including job training programs and additional money for health and social services. On Monday evening, Peoples-Stokes said it was her understanding that the marijuana issue was still a part of the budget discussions, but she did say the issue of how cannabis tax revenues would be spent was still an open item. Sources said a marijuana negotiating meeting was held at the Capitol at 3 a.m. on Tuesday. Advocates believe the measure stands a far weaker chance of passage this year if it is not made part of the larger state budget legislation; that would push some reluctant lawmakers to vote for the idea if it is linked to broader spending plans affecting popular education, health and other programs. They also believe it will not pass if punted to 2020, when the Legislature will be up for re-election and more lawmakers could be nervous about making such a sweeping change in the drug laws. Opponents, which include everyone from health officials to law enforcement, have said legalizing marijuana for adults over age 21 will create a host of new issues. Those include more people taking up the drug because it would be state-sanctioned and available in corner stores and shopping centers; more traffic accidents; and additional access for underage users to get the drug. Legislative leaders weeks ago said they believed there would not be time to address legalization given the complexities surrounding the topic. Still, talks kept progressing behind closed doors at the Capitol even after Cuomo said he would no longer bank on its passage in this year’s budget. "This needs to happen this week,'' Frederique, the drug policy group executive, said of the stalled marijuana measure. "Get back to the table. Get back to work,'' she added while standing with other advocates in the the War Room located down the hall from Cuomo's office. She downplayed the decision Tuesday by New Jersey lawmakers not to proceed with a marijuana legalization measure. Among the groups pushing for adult use legalization are the companies that already have been licensed by the state to grow and distribute medical marijuana to qualified patients with certain health conditions and diseases. "We broadly agree with the goals of social activists on adult use,'' said Adam Goers, executive vice president of Columbia Care and chairman of a trade association of medical marijuana firms. 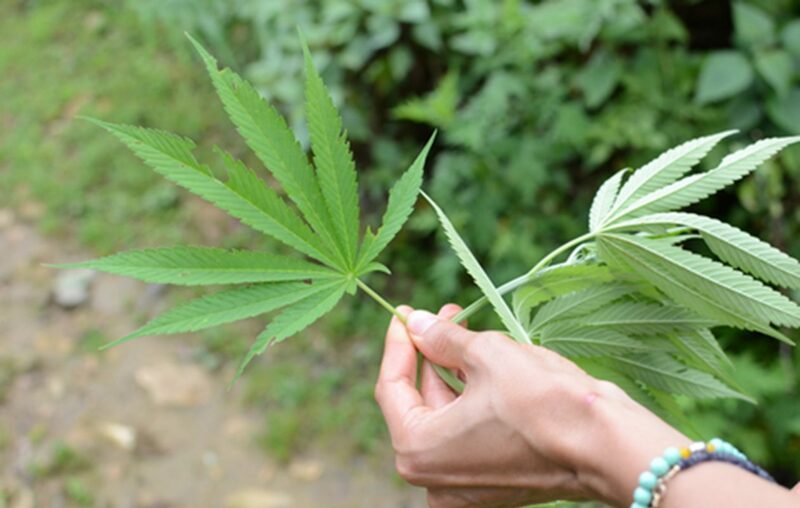 Cuomo wants to let the medical marijuana companies participate in a recreational marijuana effort, which the governor wants modeled on a system used for alcohol manufacturing, distribution and sales in the state. He has proposed a tax plan for marijuana, an office that would approve everything from retail licenses to potency of the drug. 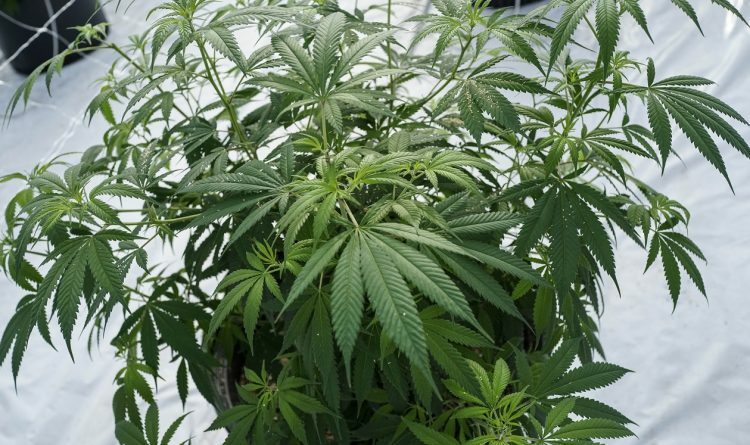 Critics for weeks have been operating under the possibility that the marijuana issue could pop up and suddenly advance in the final round of state budget negotiations. "This issue must be decoupled from the state budget. Please stand with our children,'' wrote the 300,000-member New York State Parent Teacher Association in a letter Tuesday afternoon to Cuomo and legislative leaders. To be on time for the new fiscal year start, the budget needs to be approved by Sunday. No bills with any specifics on the more than $175 billion spending plan have been printed; lawmakers say they want such bills made public on Thursday in order to legally “age” them for three days in advance of what they say could be the budget’s adoption Sunday.